GPS really carries weight if we talk about the most useful features of an iPhone. No doubt, it can be used for various purposes like when you book a cab for you. But what if your device’s GPS refuses to work and make you disappointed the moment you need it the most. This problem has been recorded many times by the users where they complained that there iPhone GPS is not working. Considering this, we’ve brought a list of some effective solutions that can help you in such problem. The GPS fails to work when there is no correct date and time in the device. 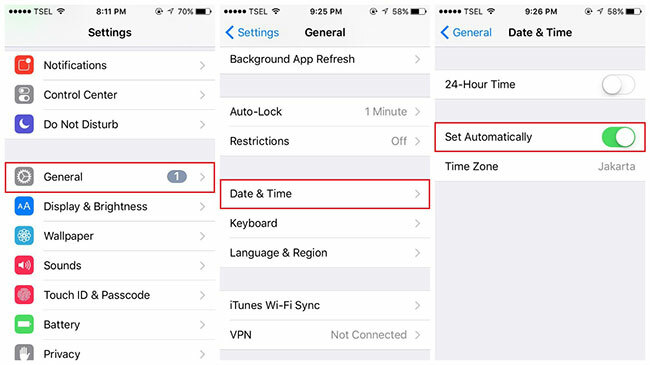 Hence it is recommended to set date, time and time zone correct when iPhone GPS not working issue emerges. We hope this quick fix will surely work. Here is how you can do that. Step 1: Start with opening ‘Settings’ in your iPhone and go to ‘General’. Tap on ‘Date & Time’ as the second step. Step 2: Select ‘Set automatically’ option and check if the problem gone. 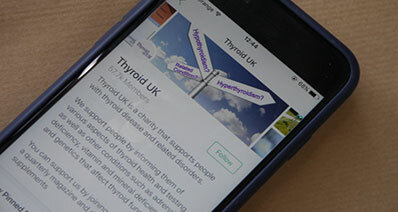 You can also take help of a third-party tool when iPhone GPS is not working. In such case, the best option you will be having is iSkysoft Toolbox - iOS System Recovery. Not just GPS issue, this program contains the ability to fix a lot of iOS problems without any limitations. 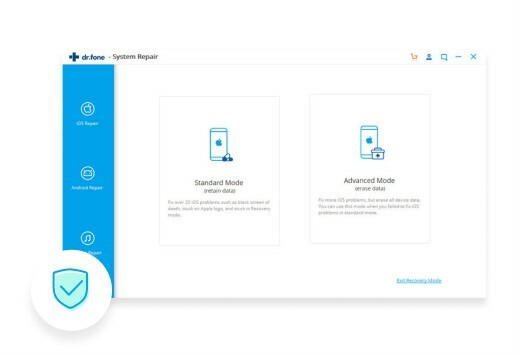 Being the safest tool and proven to be the same, it becomes to be on the top list for recommendations when it comes to the best third-party tool and risk-free way. Here are this software’s eminent features. Let’s have a talk about those. 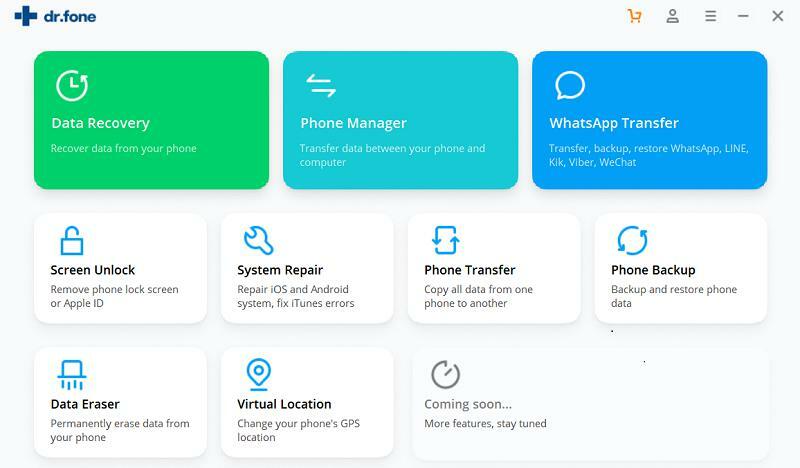 The tool is able to repair various common iOS issues comprising iOS device stuck with black screen, white screen, Apple logo and more. The specialty of this tool is being able to save all the data while working. Putting differently, it supports no data loss viewpoint. The latest iOS version i.e. iOS 11 is completely compatible with this amazing tool. 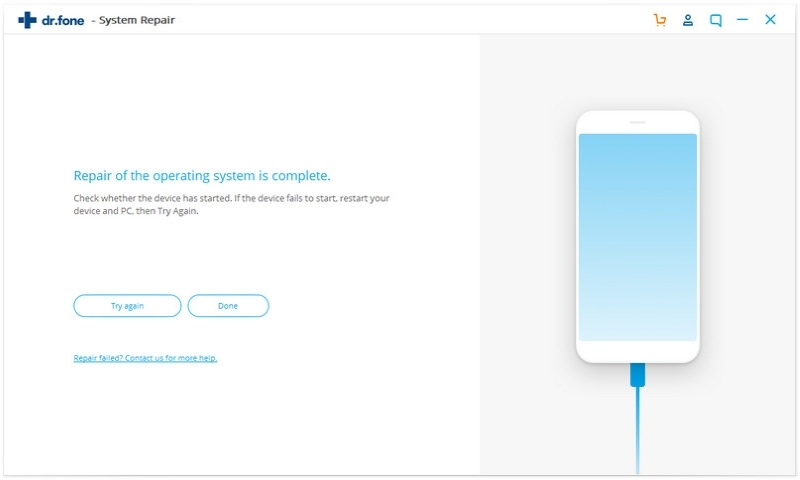 On a plus, the Windows as well as Mac users both can work easily with iSkysoft Toolbox – iOS System Recovery since it supports both operating systems. 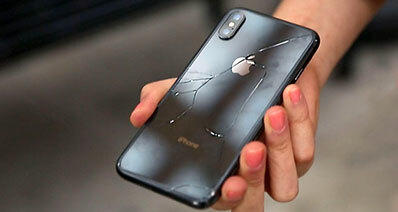 It is considered as the easiest way to resolve iOS issues where almost all iOS devices are supported. Step 1: With the help of a USB or we can say a digital cable, connect your iPhone with the PC. 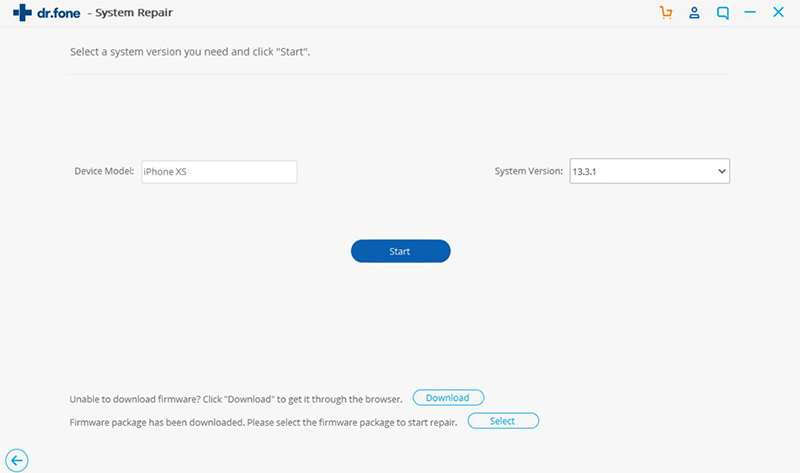 Download and launch iSkysoft Toolbox – iOS System Recovery and click on ‘System Recovery’ from the main interface. From the next screen, you can click on the ‘Start’ button to start the process. Once done, proceed to the third step. Airplane mode trick comes in handy when iPhone GPS not working problem or any other network related issue comes. You just need to turn the Airplane mode on and disable it after a couple of seconds. You can do this in two ways i.e. either by going to Control Center or ‘Settings’. For the former way, just unlock the screen and swipe it up from the bottom. You will enter the Control Center. There, tap on the plane icon which will turn on the ‘Airplane Mode’. Wait for 10-15 seconds and tap on it once again. 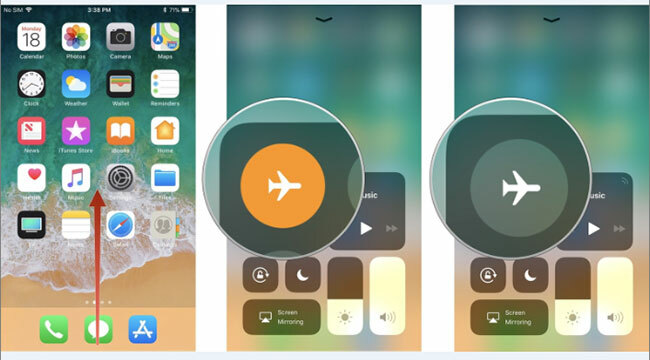 The second ways suggests opening ‘Settings’ in your device and toggle on the switch next to yellow colored airplane icon. After 15 seconds, turn it off by sliding the switch to the opposite side. If you are still there or let’s say if your iPhone GPS is not working after attempting above solutions, here is the fourth one. 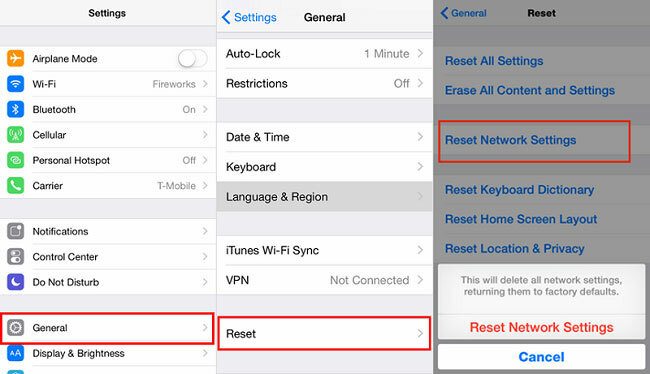 Since GPS stops working due to network issue sometimes, here we suggest you to reset network settings of your device. We would like to make you aware that performing this method would lead to wiping away all network settings. This means all your saved Wi-Fi passords, VPN settings or other network settings will be removed. The steps are simple and short. Let’s have a look on them. Step 1: Go to ‘Settings’ first of all and tap on ‘General’. Now, you will need to look for ‘Reset’ option in the General menu. Step 2: Tap on it once found and go for ‘Reset Network Settings’ option. Enter your passcode once the device demands and confirm the process. One more effective way to get out of the trouble is forcing restart your device. This method has helped a lot of people in various iOS issues and so we expect this will work in iPhone GPS not working issue as well. 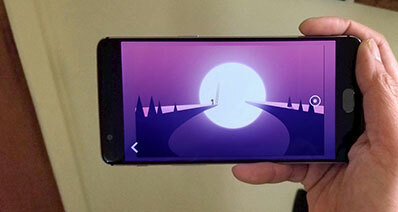 Nevertheless, the steps vary from device to device. We will mention steps for each device. Look down to check out those and perform according to the model you own. 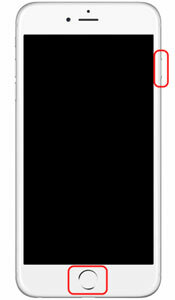 iPhone 6 and earlier models: Push the ‘Power’ button along with the ‘Home’ button located at the bottom center of the device. Wait for the Apple logo to appear on the screen and release the buttons. 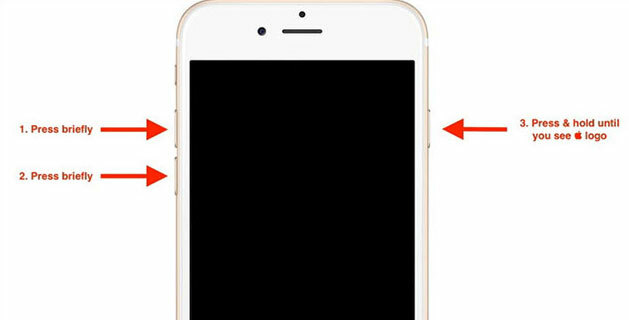 iPhone 7 and 7 Plus: These devices’ users need to hold down the ‘Power’ button and ‘Home’ button simultaneously for 8-10 seconds. The moment Apple logo becomes visible, release the buttons. iPhone 8, 8 Plus and X: The steps for these models are somewhat different. Start with pressing the ‘Volume Up’ button and immediately release it. Now, briefly press ‘Volume Down’ button too. 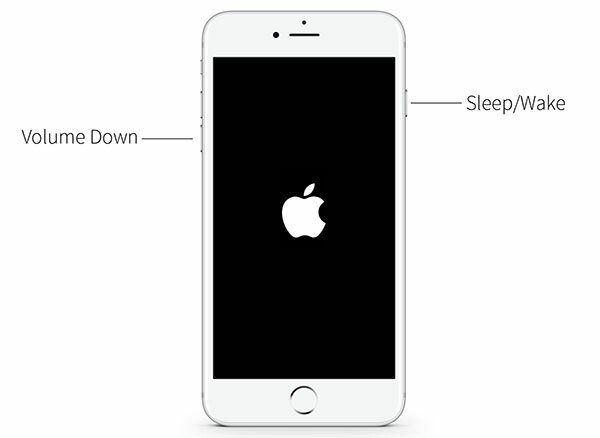 Proceed to press the ‘Power’ button located at the side and keep it pressed until the device’s screen will have the Apple logo displayed. The last resort you will need to when your GPS gives you trouble by not working at the right moment is disabling LTE. Many users have tried this solution and have been successful in doing away with GPS issue. You don’t need to turn it of permanently. Disabling it temporary can work. Look below where we have brought the light on the steps for disabling LTE. Step 1: In your iPhone, go to ‘Settings’. Proceed by clicking on ‘Cellular’ option. Step 2: Now, tap on ‘Cellular Data Options’ and go to ‘Voice & Data’. Lastly, choose ‘3G’ option from the list and you will be done. After enabling you capable enough to fix the issue yourself instead of running to the Apple store, we would also not leave behind giving you tip. 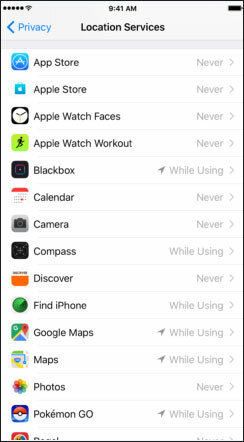 You might have wanted to know how to turn off GPS on iPhone or turn it on. This is what we have brought in this section. Without wasting much tie, let us understand how to turn on GPS on iPhone and disable it. 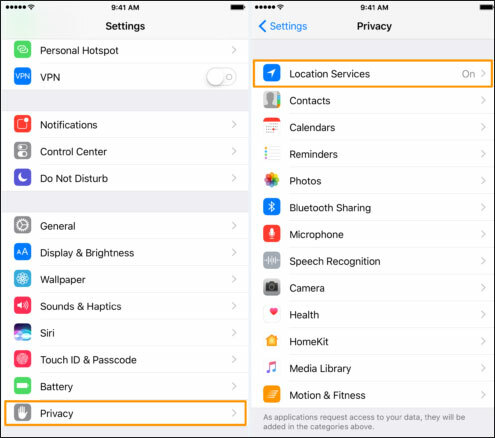 Step 1: Go to ‘Settings’ and tap on ‘Privacy’. Select ‘Location Services’. Toggle it on or off according to your requirement. Step 2: You can also choose a specific app and decide whether you want to share the location with that app or not. There will be three options i.e. ‘Never’, ‘While using the app’ and ‘Always’.